The islands surrounding Scapa Flow made one of Britain's best natural harbours, while the location at the north of Scotland protected the approaches to the North Sea and Atlantic. The naval base was important during both wars but what makes Scapa Flow famous is its wrecks, the remains of a German fleet, which once numbered some 74 vessels, most of which were scuttled in 1919, as well as the war graves of HMS Royal Oak and HMS Vanguard. The wrecks of the navy ships still survive, along with eight German warships for which a second war came and prevented salvage. Now a divers' paradise, the wrecks of Scapa Flow bring divers from all over the world and employ many in Orkney itself. 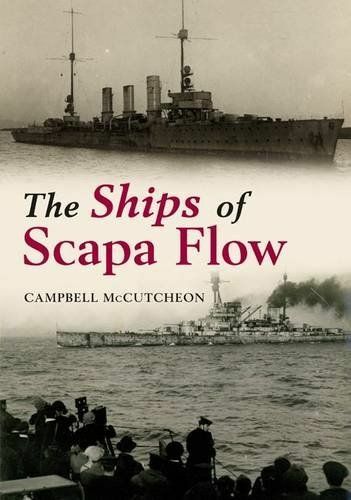 This is the story of the ships of Scapa Flow, their sinking and their salvage, using many previously unseen images of the recovery and subsequent removal of many of the German battleships and cruisers to Rosyth dockyard in Fife for breaking up.